After a billion dollars of subsidies in Australian taxpayer funds have flowed into the ongoing effort to sustain Ford Australia in the last 10 years, the company has announced, as almost everyone knows, that it will cease production of its motor vehicles in Australia by 2016. For the estimated 1,200 workers who will lose their jobs at the Geelong engine factory and Broadmeadows vehicle assembly facility, and the hundreds or thousands more in dependant industries, the news is crushing. Ford Australia’s closure is part of a global economic picture. The most important reason advanced by the motor vehicle giant was that manufacturing cars in Australia costs twice what it does in Europe. At the same time, manufacturers in Asia can produce similar or identical vehicles for a quarter of the cost. For the zealous apostles of unrestrained market capitalism, there is nothing particularly disturbing about this; if the logic of the market is that Ford Australia must go, then so be it. But is this really true? For the thousands of Australians who will lose their livelihoods over the next three years, this particular answer is cold comfort – and not particularly convincing. No doubt, Ford’s claim that it cannot compete with European or Asian manufacturers was partly true. The world is now financially and economically connected as never before. Manufacturers simply follow the brutal logic of the market: those with the cheapest labour can produce cheaper products while those who cannot compete go out of business. But was the foreshadowed 2016 closure really the only option? What was interesting was the response of the major political parties to Ford’s announcement, which was even more revealing than the company’s decision. It is clear both major political leaders and their parties see no effective alternative or solution to the problem of globalisation’s effects in Australia whereby companies choose cheaper labour forces outside this country. Both Ms Gillard and Mr Abbott have signalled they will not intervene to prevent closure and it is clear that both see the issue simply as one of either keeping a subsidised venture open indefinitely at substantial cost to the taxpayer or accepting the regrettable closure and job losses. However, in the same week that Ford announced its decision, Pope Francis issued a call for reform of the world economic and financial system which was far from irrelevant to the plight of Australian manufacturing workers being dumped by Ford. “Money has to serve, not to rule,” he said in his strongest remarks yet as Pope concerning the world’s economic and financial crises. Speaking to new ambassadors to the Vatican, Pope Francis said a major reason behind the increase in social and economic woes worldwide “is in our relationship with money and our acceptance of its power over ourselves and our society”. We have, he said, “created new idols” where the “golden calf of old has found a new and heartless image in the cult of money and the dictatorship of an economy which is faceless and lacking any truly humane goal”. A whole world and an era away from Broadmeadows, a young Catholic priest named Fr José María Arizmendiarrieta arrived in the Basque town of Mondragon in Spain in 1941 following the end of the Spanish Civil War to find himself confronted by deeply entrenched poverty and economic stagnation. Fired by the social teaching of the Church which had begun in the modern era with Leo XIII’s encyclical Rerum Novarum, in the years that followed he established a technical college to train managers of co-operatives and then co-operatives themselves. Fr Arizmendiarrieta’s early years were largely spent teaching youth and young adults a form of humanism based on solidarity and participation in harmony with Catholic Social Teaching. The success of what went on to be known as the Mondragon co-operative is a marvel of the modern era. Today, it comprises a range of co-operative-based businesses which have branched out into four main areas: finance, manufacturing, retail and research. The Mondragon Co-operative has its own university, the University of Mondragon, together with a range of polytechnics and 12 centres for the development of technology. In 2010, the Mondragon Corporation reportedly posted a total turnover of 14.8 billion euros, making it Spain’s fourth largest industrial group and the nation’s seventh biggest financial group. 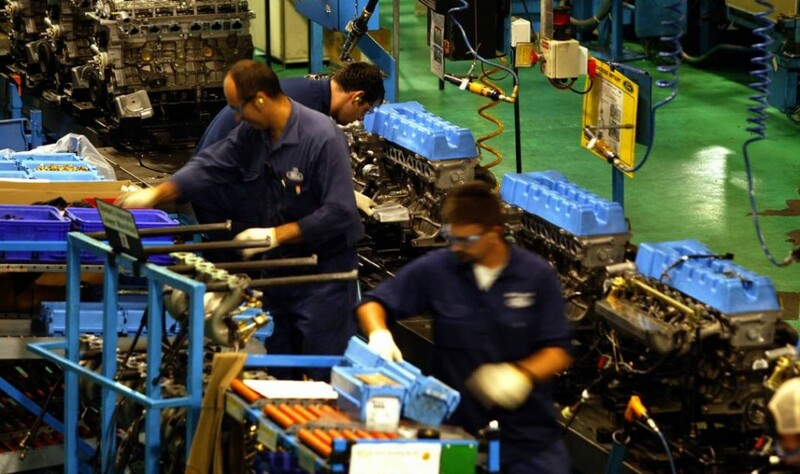 Mondragon employs over 100,000 workers, all of whom are owners of the company for which they work; management is largely drawn from its employee base. In 2009, the United Steelworkers Union in the US announced plans to jointly establish worker-owned co-operatives in the US with the final model being unveiled in March last year. Ford Australia says it can no longer produce cars in Australia. Julia Gillard and Tony Abbott are both willing to go along with its plans after a range of Labor and Coalition governments have given the company one billion dollars of taxpayers’ money in the last decade. The truth is neither has really thought of the possibilities which might be explored, a problem which is better defined as sheer conventionalism in our political class. Mondragon, on the other hand, shows what could be possible at Broadmeadows and Geelong – and elsewhere: employment and manufacturing based not on the primacy of capitalism’s greed but on the inherent dignity of workers and human beings in general. Mediocrity – and the mediocre – in politics fails us all.